Great drama is more often than not about relationships. Ghosts is a great drama, a classic. It’s about the relationship between Helen Alving and her son Oswald. It’s about the relationship between Regina and her father, Engstrand, and between Helen and Pastor Manders, who have been close acquaintances for a long time. It’s also about all of their relationships with Captain Alving who doesn’t even appear in the play but casts a long shadow over it. All of these relationships have had actions within them long ago that have consequences. Violence, betrayal, deceit. They create ghosts and those ghosts from the past have a significant impact over all of the characters now. 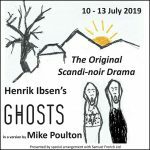 Ghosts is a powerful, shocking drama, even more so given that fact that it was written in the 1880s. Ibsen is the Godfather of the great Norse dramatic storytelling line that continues today with the modern BBC4 Nordic drama phenomena. 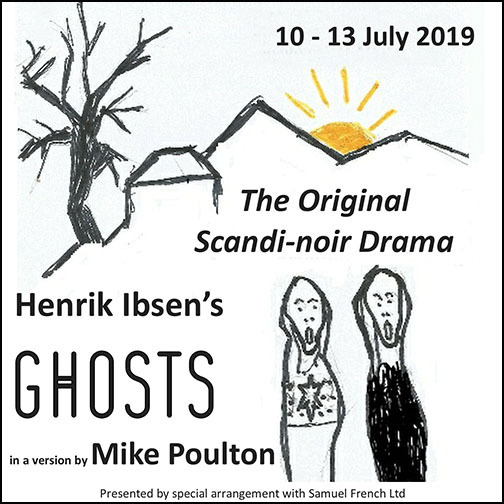 Henrik Ibsen’s Ghosts – the original Scandi-noir.